Holy Cowrie! We have had an exshellent adventure shelling the beaches of Cat Island in the out island of the Bahamas. Clark and I along with our travel buddies Jane and John packed up our shorts, bathing suits and snorkel gear and headed for this very undeveloped, laid back gorgeous Caribbean island to see what kind of beach treasures we could find. We found all sorts of spectacsheller shells and BEACH BLING! And shellebrated for each other on “first finds”. This was the first time I’ve ever found WEST INDIAN CHANK SHELLS! Shellzam! Once I get our shells unpacked and go through a few more photos, I will give you more details of this beautiful island, places to stay, the food we ate, the amazing people we met… and of course some identification of some of these awesome seashells we found. PreviousGone Shelling… To The Bahamas! Simply BEAUTIFUL!! Glad everyone had a successful, fun and safe trip! Oh my! The se glass is so beautiful! My hubby bought me some of those milk conchs from Anguilla a while back. But they are very old and landed a nice home in my garden! WOW! I live on the East Coast of FL. So close to those gorgeous shells but not close enough! Great shelling! Love the pictures! You always can find the shell. How exciting for you! Wonderful haul of shells. I am going on a cruise to Grand Turks, St Maarten and San Juan. Does anyone know of good shelling beaches in Grand Turks and St Maarten? San Juan we’re doing inland stuff. Or know of contacts there that would take us around to the beaches. I can’t wait to see your “crazy” shark video. Do you know how long it had been since anyone stepped on those same beaches looking for shells? The quantity and variety are unbelievable. Great finds. Love the cowries. Oh my gosh!!! My hubby just said he would take us there!! Gotta go now! Can’t wait to here how you got there, where you stayed, etc. It would be so cool to find a whole new collection of new varieties of shells!! Fantastic! Thanks for sharing your treasures! Pam, looks like yall found some nice shells. Congrats. WOW!!! Thank you for sharing!! What are the white torpedo looking shells? They look like olives, but not! Cool! You are probably asking about the Cerion, which is genus of land snail. This looks like an awesome trip. I can’t wait to hear more about these shells. Pam…your merry band of shellers want all the details…..you are a true travel ambassador!! Isn’t that the island Sidney Poitier is from? I am so jealous. Look at all that sea glass. And all those glorious shells. Oh my, oh my!!! Loving every minute of your vacation. Thanks so much…. I don’t think I’ve said that in a while. I truly mean it. Thank you. Pam…. If you had your choice to shell in Bahamas or the FL Keys, which would you pick?? I’m trying to decide on a Vaca, by myself. Unless you have another suggestion other than Sanibel. Thank you for sharing! I know where I want to go now! I suppose those of us left in the cold and snow will live vicariously through you! Keep the photos coming. Incredible – I’m beginning to wonder why Sanibel is # 2 in the world!!!! errr…SHARKS. This made me laugh out loud! Thanks! P.S. : Can’t wait for the update! You are so fortunate to visit the most amazing places. Thank you for bringing a glimpse of the world to those of us that may never make it there. Just beautiful. Mary Ann, the Florida Keys don’t have any beaches to comb to speak of- you would have to go out in a boat or to Bahia Honda. I have lots to post about Cat Island still. Let me get through more of my posts first, then you can see what there is to offer so you can make choices to suit you. Everybody does vacations very differently! did you enjoy when you found all of these shells? Looks like you’re having a great time. Enjoy!!!! Holy Cowrie is right!! WOW!! Those are beautiful! Sounds like a wonderful vacation, full of your explorations and discoveries!! We have been talking about going to the Bahamas, please share with us: where did you stay on Cat Island and how did you find your rental? Were you staying on the beach in a small cottage or a hotel complex? Any ideas that you may share are very welcome – we are trying to plan a trip for February! We will be staying in Sanibel and Captiva in January, hope to see you there!! THANK YOU, we love your Shelling adventures!! Looks like such a great time! I need to go as well!! My favorite thing is collecting the sea glass – glad to know there is some over there. Thanks for sharing!!! Lois, we are going on a cruise with a stop at Grand Turk and wondered if you found any information on shelling there. Hi Pam!! We are planning a trip to the Bahama’s sometime in late Sept or Oct. I’m wondering where you would recommend for us to go shelling in regards to the variety and amount of shells, accommodations, and overall cost as to one being more expensive than others! We know that you’re a great big shell book of knowledge so since you’ve traveled there several times and different island locations we would greatly appreciate any info and suggestions from you or anyone else that’s traveled there! !We are leaning towards Cat but still somewhat uncertain and those pics you posted are absolutely picture perfect!! We really loved exploring cat island and the shells we found. Fernandez bay is beautiful! But then, I want to go explore other islands because every island we’ve been to in the Bahamas, we’ve found shells off the beaten path. Oh no! I don’t think I’ve helped but I do think u will find shells if u explore the beaches that aren’t groomed by the resorts. Good luck. And check out the categories on the left side of my blog under “World Shelling” you will see all of the places I’ve posted about. If you ever plan another trip to Cat Island, look into coming to our beautiful house in Bennett’s Harbour! Hope to see you on the North Shore! So beautiful! But went l why no you tube video of shelling on any of these amazing beach/island trips you go on? i am planning a trip to cat island in june. 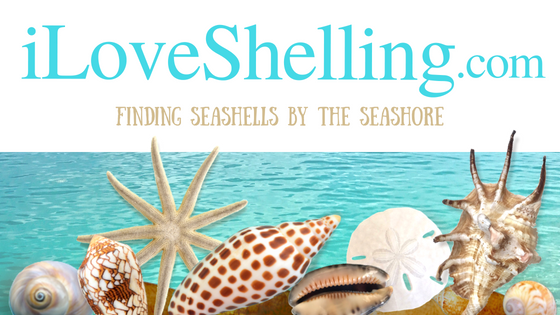 4 shell lovers have many questions about your trips & would love traveling & lodging ideas. we are all snorkelers. we will be flying out of ft. laud. I am leaving for Cat Island in April and saw that you were the most recent post. I would love any shelling tips you might habe to share. We rented a small house on the windward side and plan on making it to every beach we can! I would also love any food recommendations also! Thank you so much.